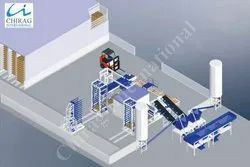 Our range of products include multifunction block machine, multifunction block making machine, interlocking block making machine, interlocking brick making machine, multifunction brick machine and chirag multi raw material block making machines. Multifunction Block Making Machine offered by us can be used for making all types of construction material such as fly ash brick, concrete block, interlocking brick, interlocking block, interlocking paver etc. Multifunction Block Making Machine that we design and manufacture are widely used in the construction industry applications. 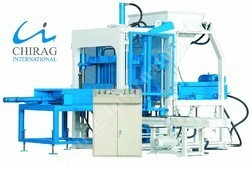 Our esteemed clients can avail from us a precisely designed range of Multifunction Brick Machine. Usage of high grade material and technological advanced machines assures that these machines are robust in construction and reliable in operation. 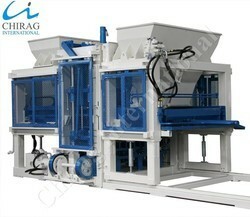 We further offer these Multifunction Brick Machines to clients in varied models and specifications. Our Multifunction Brick Machines is also offered to clients at economical prices and within the stipulated time period. Chirag Multi Raw Material Block Making Machines offered by us can be used for making all types of construction material such as fly ash brick, concrete block, interlocking brick, interlocking block, interlocking paver etc. Chirag Multi Raw Material Block Making Machines This model has been applied for the patent protected by state laws, counterfeiting is not allowed (Patent No.201220242625.7). 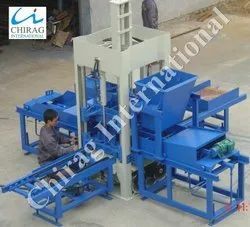 Chirag Semi Automatic Block Making Machines offered by us can be used for making all types of construction material such as Chirag Semi Automatic Block Making Machines fly ash brick, concrete block, interlocking brick, interlocking block, interlocking paver etc. Chirag Fully Automatic Block Making Machineoffered are made available in compliance with defined industry standards and is based on advanced process technology as well as use of premium components that make these match up to the process needs of the customers. We make these machines available with wheel support that allows their easy movement after laying of block on concrete floor to next laying space. Looking for “Multifunction Block Making Machine”?